When it comes to deciding on what the best areas of Calgary to live in are, there are definitely many candidates that come to mind. Like any city, Calgary has four quadrants each with their own unique characteristics and communities; therefore, it comes down to what people are looking for in their home and area they live. Below you will find our list of best areas of Calgary to live in, each with its own attached community review and home search where you can find out more about the neighbourhoods schools, location, amenities and more! If you have any questions about these neighbourhoods call me anytime or message me below. One of the best areas of Calgary to live in if you like to be able to escape to the foothills and the Rocky Mountains with ease. Close behind the SW quadrant for number of upscale communities. 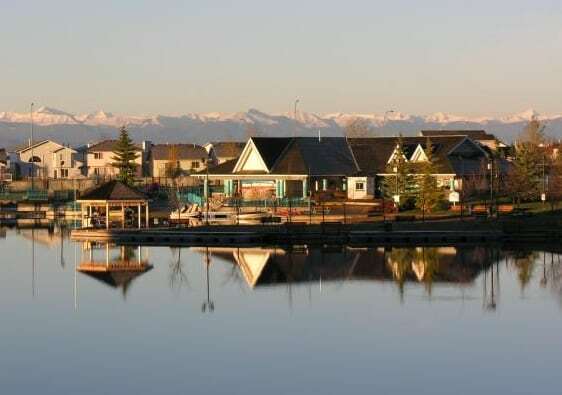 This suburban community is one of the few lake communities in Calgary. Centered around a man-made lake, Arbour Lake is an amazing living opportunity for families who love the water and who are seeking a family oriented community. Find out more at our Arbour Lake Calgary Lake Community. Banff Trail is located on the brim of Crowchild Trail and 16th Avenue NW. Find many older homes among new an increasing number of new infill developments. Banff Trail has good connectivity to main routes and is well within walking distance to the University of Calgary! Read more at our Banff Trail Area Review and Home Search. 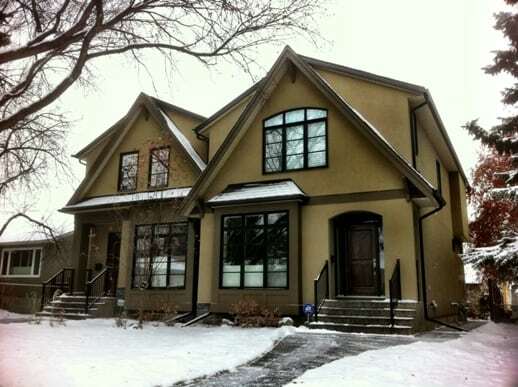 Briar Hill and Hounsfield Heights is host to some beautiful upscale infill homes. Located on an escarpment sloping down to the south, this neighbourhood has beautiful views of downtown and the south part of the city and is only a short 10 minute drive or less to the downtown core! Find out more at our Community Profile and Listing Search – Briar Hill Hounsfield Heights. Cambrian Heights is a very popular up and coming inner city community in northwest Calgary. 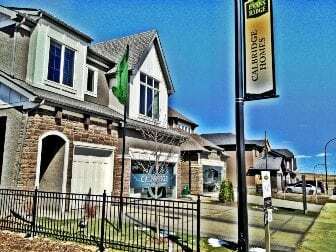 While most of its current homes are older construction bungalows, many home owners and development companies have taken up new projects of their own in Cambrian Heights which are slowly but surely transforming the face of the neighbourhood. For more information on this family oriented neighbourhood, check out our Cambrian Heights Calgary Community Review and Listings. 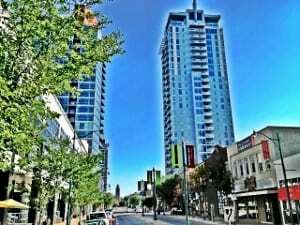 Located north of the downtown core with Alberta College of Art and Design and SAIT Polytechnic in close quarters. New infill developments are sprouting up everywhere in this wonderful riverside inner city area. Looking to live a walkable lifestyle to its fullest? Check out our Hillhurst Area Review and Home Search! Find Mount Pleasant north of 16th Avenue N and south of Confederation Park, it is a quiet area with adjacency to SAIT polytechnic, Confederation Park and also has an abundance of amenities and services nearby. Here’s our Neighbourhood Profile and Search for Mount Pleasant. Another riverside neighbourhood immediately south of the Foothills Hospital on 16th Avenue NW. Residents have great connectivity to the rest of the city via 16th Avenue NW, Crowchild Trail. McMahon Stadium, the U of C, North Hill Mall and the recently renovated Market Mall are also very close by! Many of its homes also have spectacular views of Calgary and the Rocky Mountains! Check out our Parkdale Area Profile and Listings Search. Rosedale is located south of the Trans Canada highway and north of the Bow River with an escarpment on its southern boundary providing beautiful views of downtown and south Calgary. Much new redevelopment and infill homes are being constructed in the area. Learn more at our Rosedale Community Info and Listing Search. Sunnyside is just a short five minute walk away from downtown! There aren’t many new communities closer to downtown than Sunnyside. Kensington, a well-known shopping district, borders the area where a LRT station is found as well. Find out more today at our Area Profile and Home Search for Sunnyside. Tuscany is found on the far brim of the northwest part of Calgary. Even though it might be considerably far from the downtown core, it still has been ranked as one of the top places to live in the city. Find out why at Tuscany – Best Places of Calgary to Live in. Varsity was voted as the Top Calgary neighbourhood in 2012 by Avenue Magazine. Located on the top of a plateau just north of the Bow River Valley, Varsity has much to offer its residents including beautiful views and a tranquil community setting. 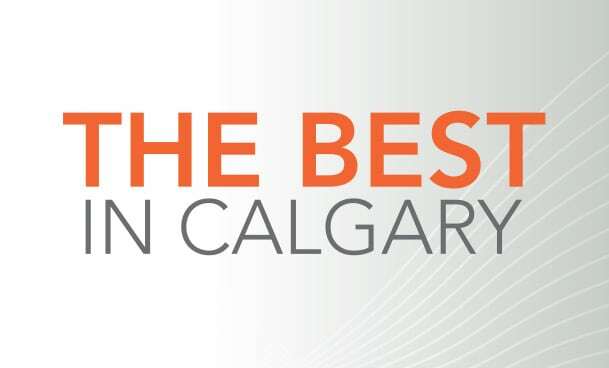 Find out more at the Varsity – Best Areas of Calgary to Live In. Those looking for a lot more than the typical out of their home and community should consider Watermark at Bearspaw. This new community is distinct among the rest through its incredibly luxurious homes, larger than life estate lots and fantastic amenities. Find out more about the SAM Award Winner at Watermark Bearspaw Calgary Luxury Homes. West Hillhurst is a highly sought after northwest community by people looking to live and play close to downtown. Adjacency to the Bow River Bow River and its river pathway network as well as awesome connectivity to Crowchild Trail and the Trans-Canada highway are a few of its desirability factors. West Hillhurst is transforming into a upscale neighbourhood with lots of new infill developments and existing home renovations. Read more at our West Hillhurst Area Review and Listings. Best areas of Calgary to live in the NE quadrant if you have frequent trips out of town and have to use the airport on a consistent basis. The NE also has good connectivity to the rest of the city and generally more affordable living. Bridgeland is located on the north bank of the Bow River with awesome recreational opportunities at the countless nearby pathways and parks. Also beside the Zoo, Bridgeland has its own LRT station on its south end and is close to downtown with more affordable housing opportunities. Many new condominiums and new infill developments are replacing it’s older homes, giving the neighbourhood a completely refurbished feel! Find out more at our Bridgeland Community Profile and Home Search. Another NE area with awesome inner city location. Never worry about getting around the city when living here, due to its close proximity to Deerfoot Trail and downtown. If you are looking for more affordable housing, this might be an area if interest to you. Many new infill developments are storming the community, giving arts of the area a new and modern look! 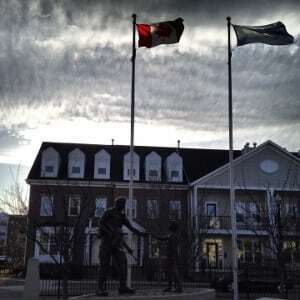 Read more at our Neighbourhood Profile and Home Search for Renfrew. Some of the best areas of Calgary to live in where you will find a majority of upscale communities and great connectivity to access downtown with bridge free routes. An upscale inner city neighbourhood with amazing location! If you are doing frequent trips to the downtown area and are looking for a higher end home, then Altadore might just be that area you’ve been looking for! Breathtaking, panoramic views of downtown and other surrounding regions can be found at some of its properties. A highly sought after area on today’s real-estate market. Learn more at our Altadore Community Profile and Home Listings. 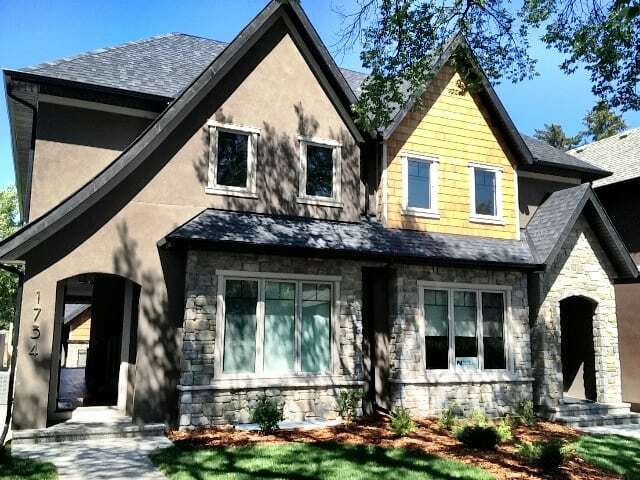 Bayview is a luxury community on the southeastern brim of the Glenmore Reservoir. Find that perfect luxury home in Bayview, where there is always something to do on the waterfront recreational areas, or nearby recreational centre for the whole family! Read more at Bayview Luxury Homes. 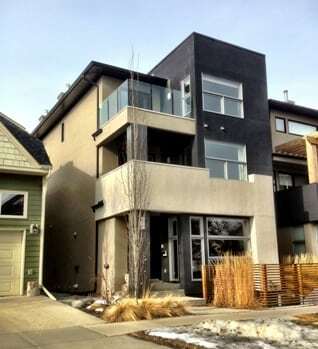 Bel Aire is a top contender as host to some of the most expensive real-estate found in Calgary! It has reservoir and riverside property all the while being only a 15 minute drive from the downtown core. Experience upscale living at its finest in Bel-Aire! Read more today at our Bel-Aire Community Review and Listings. Connaught is part of the inner city beltline area south of downtown. New condo developments are being constructed at multiple locations within the area because of its highly desirable living location, with all the amenities and services nearby you could ever dream of. Never worry about being stuck in traffic when living in this area as you can pretty much walk a few blocks to get anything you need. If working downtown, Connaught would be a very convenient place to live! Learn more at our Connaught Condo Search and Community Review. Currie Barracks is a very desirable, well-located neighbourhood found on the old military barracks. Find Europe style streetscapes, lots of green spaces and upscale houses here. This area has homes for sale and has on-going developments. New commercial, residential and retail spaces have given a nice balance to the area, making it highly sought after new urban neighbourhood. Find out more at our Currie Barracks Neighbourhood Profile and Home Search. This luxury neighbourhood was named the best Calgary community of the year and best Canadian community of the year on multiple occasions when it was first established and has continued to be one of the best areas to live in Calgary till this day. Known for its estate luxury properties just outside of Calgary’s southwest, Elbow Valley Estates offers buyers a rural luxury living experience matched by only a few other rural developments. Read more at Elbow Valley Estates Calgary Luxury Homes. Those looking for the ultimate in luxury homes in a rural setting should set their eyes towards Elbow Valley West. With homes beginning in the $1 million range and some building opportunities still available, it is definitely one of the best Calgary areas to live in if you want to build and live in that highly customized house you’ve always wanted! Learn more at our Elbow Valley West Luxury Homes Review. Elbow Park Is a luxury community in southwest Calgary, one of the most sought after in the city as a matter of fact, with adjacency to the Elbow River waterway and only minutes to downtown. 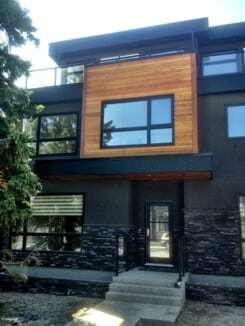 Find out more at Elbow Park Calgary Luxury Homes. It doesn’t get much more central in downtown Calgary than Eau Claire. A beautiful riverside neighbourhood in the heart of the city core where you will find mostly low to mid rise condo developments and townhomes. Learn more today at our Eau Claire Condo Neighbourhood Review. Erlton is a smaller inner city community in Calgary only minutes from the downtown core. Erlton is well within walking distance to the Elbow River, Elbow River, downtown business core and beltline area. It is an up and coming neighbourhood with proposed new condominium projects and new infill developments on the go. Find out more at our Erlton Calgary Community Review. Garrison Green is where you will find upscale homes with beautiful design, European style streetscapes with tons of green spaces and pathways. Getting to downtown is only 10 minutes north on Crowchild Trail, while Mount Royal University is less than a kilometer away. New retail and commercial developments are under construction in the surrounding areas, adding to the already exceptional list of close by amenities. Find out more at our Community Profile and Home Search for Garrison Green. Is another community with an awesome location! Getting to downtown takes just minutes when driving. A renowned shopping area with over 100 businesses known as Marda Loop borders the neighbourhood, providing residents with all that they desire. Learn more at our Garrison Woods Area Profile and Home Search. Glendale offers beautiful views west to the Rockies, all the while being in close proximity to the city centre. Optimistic Park gives residents wonderful recreational opportunities and close by routes such as 17th Avenue SW and Crowchild Trail provide good connectivity with the rest of town. Read more today at our Glendale Community Info and Listings Search. Escape to the west via Bow Trail with ease or go the other direction and arrive downtown within minutes. Find everything that you need amenity and service wise close by when living in Killarney. West Brook Mall and Killarney Recreational Centre are two great places to get errands done and use for shopping and leisure. Want to know more? Find it at our Killarney Community Profile and Home Listings. Mayfair is a highly desirable luxury neighbourhood in Calgary’s southwest where many families tend to stay for the long term. Located on the brim of the Glenmore Reservoir and just minutes from downtown and countless amenities, its not hard to see why. Find out more at Mayfair Calgary Luxury Homes. Mission is located south of 17th Avenue on the west embankment of the Elbow River and 4th Street SW. Some of the cities most luxurious condo developments are under construction in Mission. Talisman Rec Centre, Macleod Trail and a full-spectrum of amenities and services are found in and around the area. Read more at our Mission Community Review and Condo Search. Upper Mount Royal is an upscale inner city area with amazing inner city location, beautiful homes, riverside properties and quick commuting times to and from downtown Calgary via Elbow Drive. A plethora of amenities and services found nearby, the area is home to some of the city’s most expensive real-estate. Find out more at our Community Profile and Home Search for Mount Royal. Lower Mount Royal is also a part of this prestigious community. It too is one of the best places to live in Calgary because of its location and inherent characteristics, although it is less upscale than Upper Mount Royal. Find out more at Lower Mount Royal Calgary Condo Community. This highly desirable luxury community in southwest Calgary has much to offer its residents including ridge walkouts with breathtaking views and luxurious homes just seconds from the Elbow River but on elevated terrain. Parkhill Stanley Park is an exclusive living opportunity and is a choice luxury community for many families looking to plant their roots without any plans on moving over the long term. Find out more at Parkhill Stanley Park Calgary Luxury Homes. Luxury living is at its finest in Pump Hill. Lots are generally larger sized and green spaces are abundant. This community has some of the most expensive single-family homes in the city and is a prestigious place to live to say the least. Located near South Land Leisure Centre, this area is highly sought after on today’s market! Find out more at our Pump Hill Community Profile and Listings. Palliser is a southwest neighbourhood with an amazing location close to the Southland Leisure Centre and the Glenmore Reservoir, giving residents ample recreation and leisure opportunity! Segregated from Pump Hill in 1991, the area is a lovely place to live. Here’s more at our Palliser Community Review and Home Search. Richmond Park Knob Hill is a centrally located community on the eastern side of Crowchild Trail, giving residents easy access to downtown Calgary via northbound. 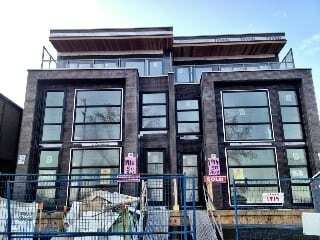 There are many new infill developments sprouting up in the area. Find all the amenities and services you need nearby at various strip malls and shopping centres like West Brook Mall and along 17th Avenue SW. Read more at our Richmond Park Knob Hill Area Info and Home Listings. Located between 17th Avenue SW and Bow Trail, this neighbourhood has all the essential parts of a comfortable living experience. Less than three kilometers away from downtown Calgary, it has become a popular destination for new infill developments. Walk north across Bow Trail for access to the Shaganappi Golf Course and network of river pathways along the Bow River. Learn more today at our Community Review and Home Search for Rosscarrock. This inner city community is an affluent neighbourhood found just west of Sunalta and Connaught. Many of its homes are built on an elevated escarpment giving some residents beautiful panoramic views of north Calgary and the downtown area. Read more at our Scarboro Community Review. Part residential, part golf course, this community has prime location with beautiful views of the river valley and the north part of the city. Reach downtown within minutes from your front door step and live comfortably with nearby facilities like West Brook Mall and Killarney Recreational Centre. Here’s more at our Shaganappi Community Review and Listings. Another centrally located place to live with newly renovated houses and infills sprouting up everywhere. Spectacular views of downtown are reflective of how close you really are! Reach downtown in less than five minutes of driving when living in this highly sought after south neighbourhood. Find out more at our South Calgary Neighbourhood Review and Home Search. Adjacently south to the Bow River, Spruce Cliff is located centrally within Calgary’s southwest. Find all the amenities and services needed nearby. Enjoy your evenings by walking down to the Bow River network of pathways, or go for a run, bike or jog! 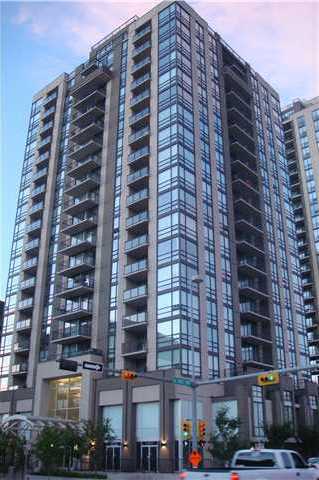 On top of awesome location, enjoy panoramic views of north Calgary and the river valley. Possibilities are endless when living here! Read more at our Spruce Cliff Community Review and Listings. Sunalta is adjacently west to the downtown city core. Its residential consists mainly of multi-family developments, but there are a few infill homes here and there spread throughout. Sunalta offers residents a walkable lifestyle, plus has many other beneficiary attributes for any urban dweller. Learn more at our Sunalta Calgary Condo Community Review and Listings. Another part of the beltline area along with Connaught, Victoria Park is home to many new and existing condo developments. Many heritage buildings add great character to it’s streetscapes while some of the best restaurants, shops and entertainment make it an attractive place to live many. Learn more at our Victoria Park Community Review and Listings. Westgate is an up and coming neighbourhood in Calgary’s southwest inner city region. While there still remains several post-war bungalow properties in the area, all that is quickly changing as new infill developments take centre stage in a high-demand market. Apart from infill demand, Westgate offers a highly convenient living location with a full list of nearby amenities on 17th Avenue SW and Westbrook Mall, not to mention the walkable distance to the new west LRT and pathways along the Bow River. See more at Westgate Calgary Community and Home Search today. Located on the brim of the Bow River Valley Plateau just a few minutes west from the downtown core, Wildwood offers residents an calm and serene inner city location with spectacular access to recreation and amenities. Just a few blocks from Wildwood is Westbrook Mall, southwest LRT line and everything else you’ll find along 17th Avenue SW, while a few steps down the plateau takes you right to the pathways of the beautiful Bow River. Find out more at Wildwood Community and Home Search today. This family oriented community is highly sought after for a number of reasons, a few of them being a great location only seconds from the Elbow River parks and pathways, the amenity corridor of Macleod Trail, and only a bit further to downtown and the beltline area. Windsor Park offers a very serene and convenient living experience in the inner city region of southwest Calgary. Living here is an escape from the big city life, all in the heart of Calgary! Find out more at our Windsor Park Calgary Community Review. A best area to live in if you work in Southern Alberta or in the industrial sector of the city. Beautiful neighbourhoods with some of the best recreational parks in the city. 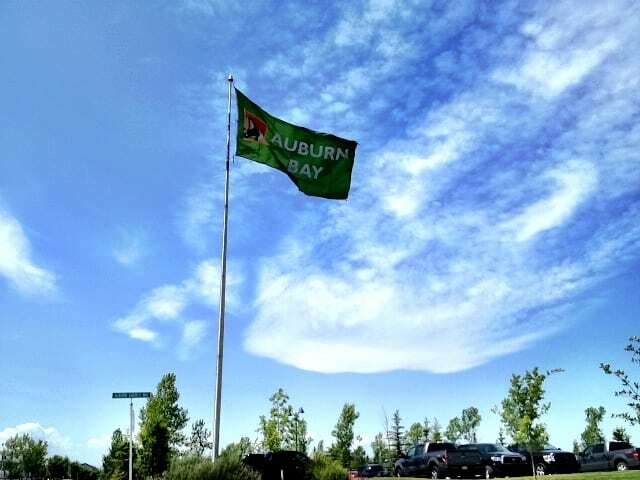 Found on the far reaches of the southeast quadrant, Auburn Bay is a new community development around multiple bodies of water. The new Calgary lake community has become one of the most popular suburb areas in the city because of its lake quality, something we don’t see everyday in local neighbourhoods. Read more at New Lake Community of Auburn Bay. This inner city community is as close as it gets to the downtown core. 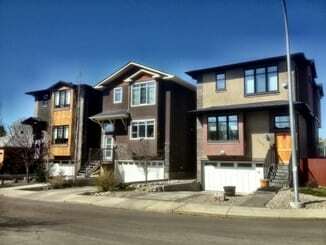 Inglewood is an up and coming infill community in Calgary, with some great home options for buyers. Search all Inglewood listings and learn more at our Inglewood Calgary Community Review. This awesome southeast community is built on a nature reserve with riverside properties on the Bow River. Quarry Park is a great place to live if you are looking to build a new home in an area with a centrally located market while having ample access to recreational opportunities. Learn more at our New Homes in Quarry Park. Ramsay is one of the more affordable inner city communities in Calgary. 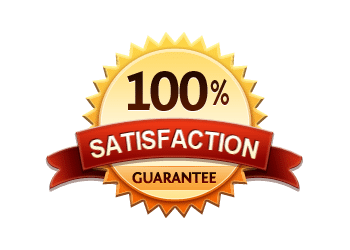 While its homes are not as desirable and there are not as many as available in comparison to other areas, it is a great place for families looking for a starter home in an inner city location, and has some amazing characteristics anyone would enjoy. Learn more at our Ramsay Community Review. Just like Auburn Bay, Mahogany is on the brim of the southeast area and is being built around a number of bodies of water, making this new lake community a popular hit for suburban living lovers! 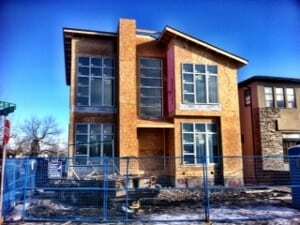 Read more at Mahogany New Lake Community in Calgary. So What is the Best Area of Calgary to Live In? It’s really hard to say which one of these is the absolute best area to live in Calgary. I will leave it up to you to decide! Please leave us a comment below and let us know which Calgary neighbourhoods are your favourite! Questions about Calgary Real Estate? If you would like to find out more about any one of these best areas of Calgary to live in, contact me anytime at 403-370-4180 or message me below for a prompt response. I agree, Calgary is one of the best places to live in. My friend is living in Parkdale over a year now and they loved it. We are planning too, still looking for a community in SE. I’ve lived in several neighbourhoods including Crescent Heights, West Hillhurst and Bankview. You are accurate on describing all of them. Each area has its own unique charm and characteristics. I’ve finally setlled in Garrison Green and I love it here. Reminds me of my beautiful hometown of Burlington, Ontario. Very family and dog friendly. Our conversation was so positive that no sooner had I hung up the phone than I made the decision that we would use Cody as our Calgary realtor to help find the property we were after.